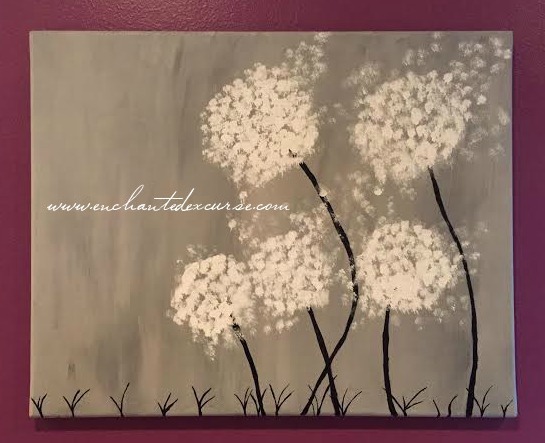 Enchanted Excurse: Just Me Being Artsy! Hello there Loverlies!! I have been so sleepy lately! lol It doesn't help that it has rained a lot, but I can say at least we are blessed to have the rain and not be in a drought. I am thankful for that. What have y'all been up to lately? I have just been attempting my art again. I needed something to hang up in the living room for the barren area I had. Also wanted to make something to add to the computer room for decoration. So I decided to share what I made with y'all. The Painting I made for the living room is just some dandelions painted with acrylic on canvas. I decided to keep it monochrome because of the other picture we have in the living room. The other one is a black and white landscape photo we bought at Micheal's. I really do love landscapes! I am hoping this summer I can get out and attempt some landscape photos of my own. The item I did for the computer room is a collage. I am not the best at collages, but I tried. I just bought some cheap old comic books from Hastings and Kapow Comics. 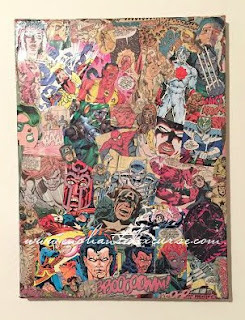 (Kapow Comics is located in Sherwood,Arkansas) I used mod podge and glued them on to a canvas. After that I just used an Acrylic paint sealant for both of my projects to protect them. I would love to see what art projects y'all do. If y'all want to just post in the comments below a picture or link to your art. Have a Blessed Day! 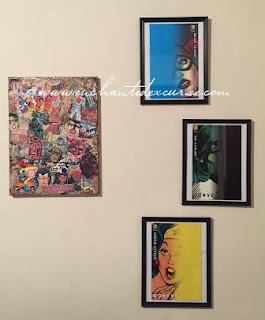 I decided to buy some of the convergence comics to hang next to my collage. I just love the covers of these comics.